Finding the right print management software can be an opportunity to help your organization become more efficient. Even though there are many print management software programs out there, choosing the right one can be easier than you might think. With the right kind of help and the right questions, your decision can be easy. Print management software is what makes collecting all of the information I listed above not only possible but simple. The software can track usage at various levels, which can be predetermined based on your business. Usage data can be collected by department, by individual or by location - depending on what's right for you. Beyond device location, supplies can be managed, ordered and delivered using print management software. Additionally, needs specific to your organization can be managed with the right software. Are confidentiality and secure printing something that's valuable to your business? Print management software can help. Figuring out what you need comes down to the specifics of your business. Across the board, toner tracking and replacement is extremely popular. Internally managing toner consumes a lot of employee time, and it puts your business at risk of running out of toner and/or becoming a victim of toner pirates. Additionally, you'll want a print tracking software that has features that fit the way your business operates - something that is customizable and comprehensive. Additional features and capabilities - like secure printing - are great for organizations in healthcare, human resources or any other industry with an emphasis on confidentiality. Right from the beginning, you want to work with a provider that isn't going to give you a one-size-fits-all print management software. Your business is unique, and you want to ensure the software that manages your print environment can meet the unique needs of your business. You want the data and analytics to provide a window into your print environment and point toward specific ways you can meet needs, reduce costs and increase productivity. 1. What kind of print environment do you have? Your "print environment" encompasses all of your printers and all of your supplies: paper, toner, maintenance and replacement. An important first step is a print assessment to find out what kind of print environment you have. If that sounds like a lot of hassle, no worries - there's help available. Most managed print services providers will do an assessment for you. Post-assessment, they will report on diagnostics and findings. Based on our experiences, many companies are surprised by the results of their assessment. They didn’t realize how much they have been spending and how much they could save by being more efficient. Once you know how much your print environment is costing you - and maybe where money is being wasted - it's important to answer a few more questions. 2. Do you need secure printing? 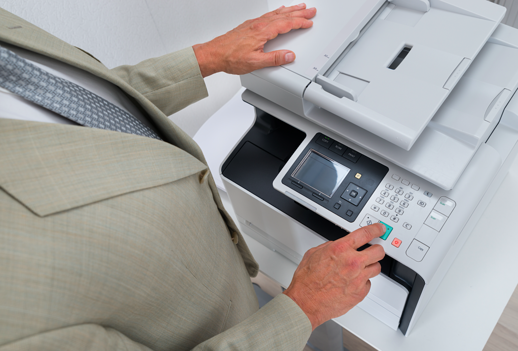 If you print quite a bit of confidential information, consider secure printing. It ensures confidential documents won’t be left sitting in the printer tray where anyone can pick them up. Instead, the person responsible for the confidential document needs to go to the printer and release it through a key code or ID badge. 3. Do you need to track your printing very closely? Some products will give you a general idea of what you are printing and how much it’s costing you, and others can dig very deep into print expenses. For example, many universities use PaperCut to track the printing of each department and every student. 4. Do you have a green initiative at work? 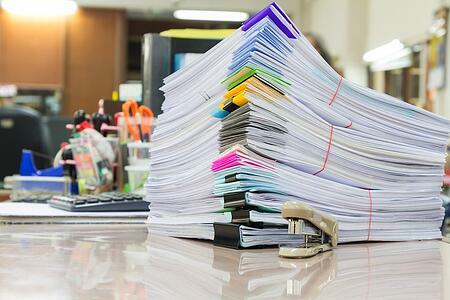 While print management software can provide cost savings, it can also save trees. This can contribute to your organization's sustainability efforts. In order to reap the benefits of print management software, you first need to select the right software and implement it. While this can be a confusing process, working with an experienced and knowledgeable print provider can add ease to the process. They will understand how to assess your business and translate your needs into the right software. Additionally, they can coordinate implementation, meaning all you have to do is give it a shot. To learn more, contact a Marco rep.